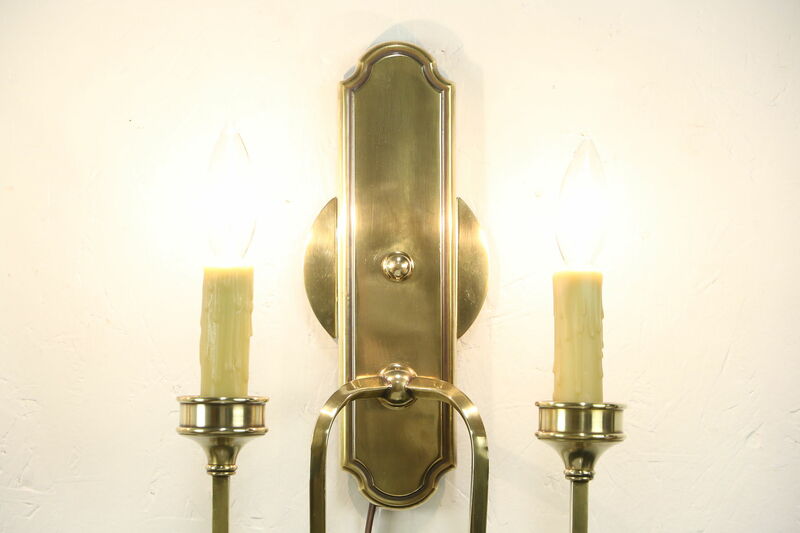 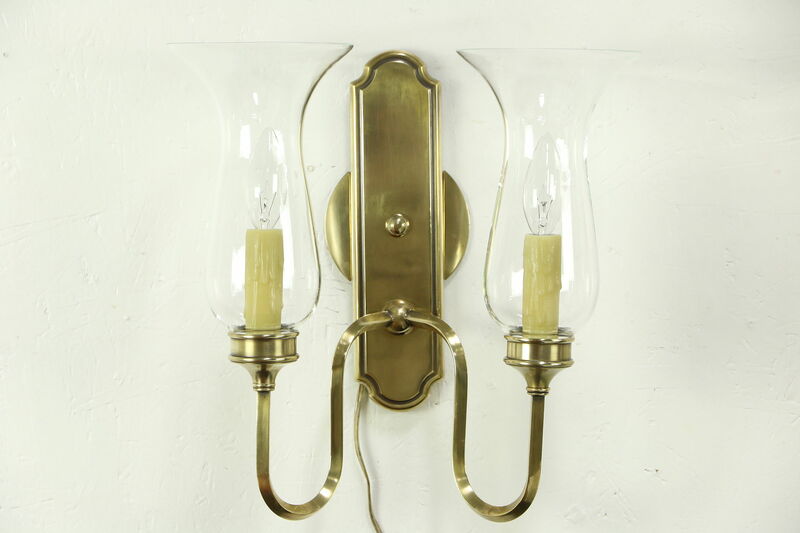 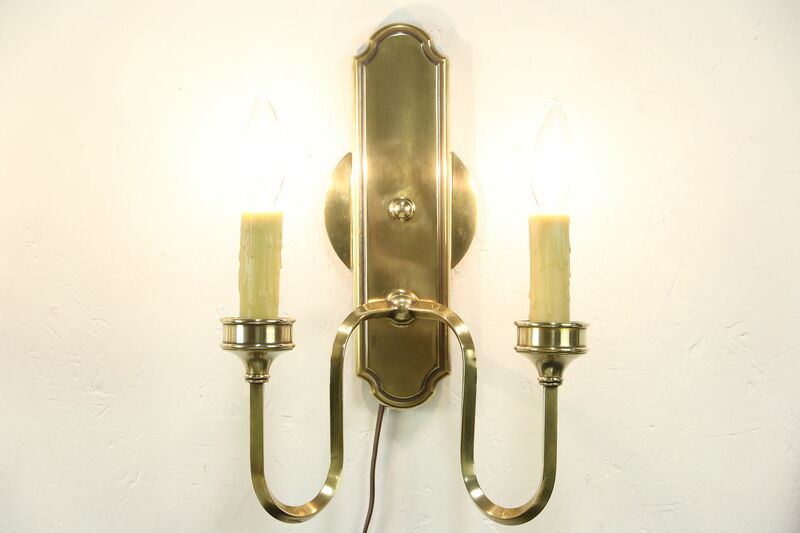 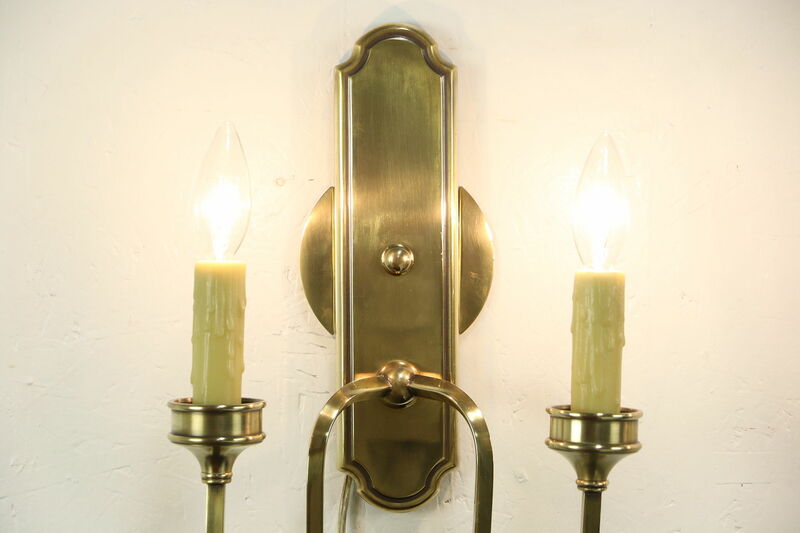 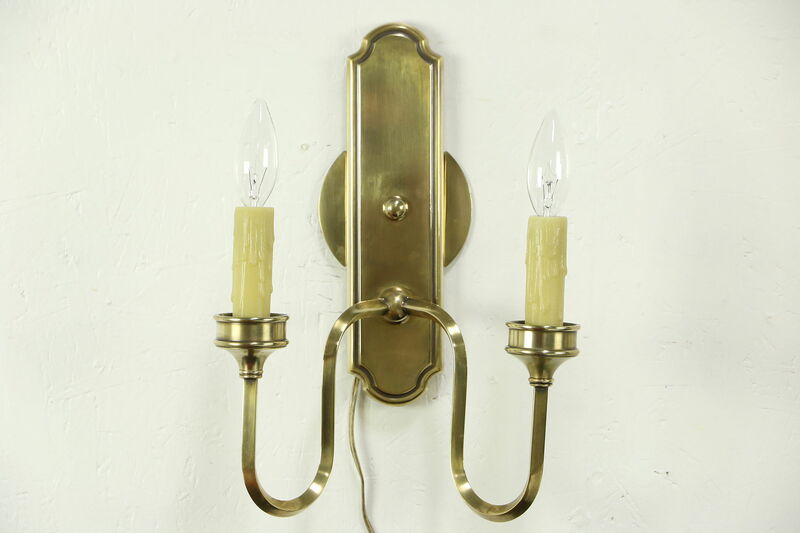 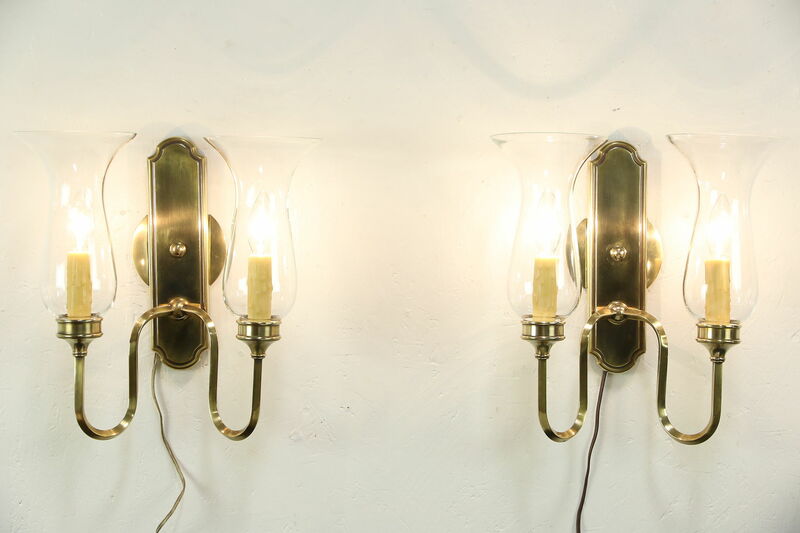 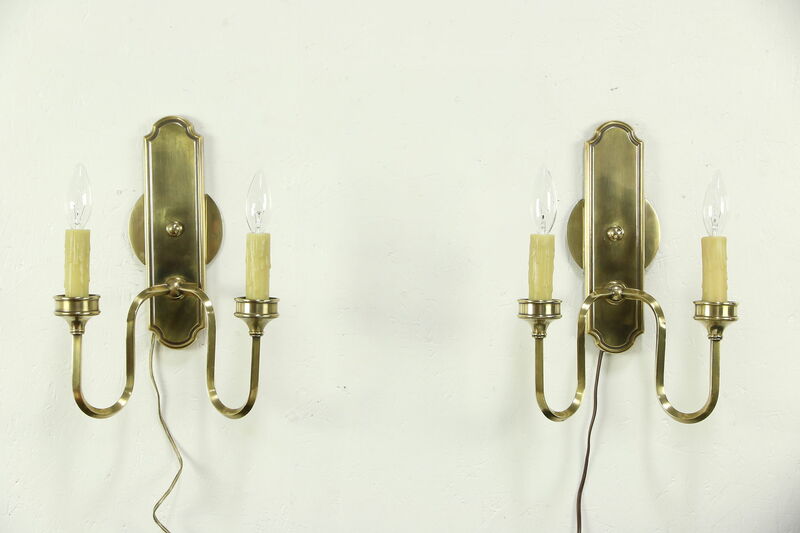 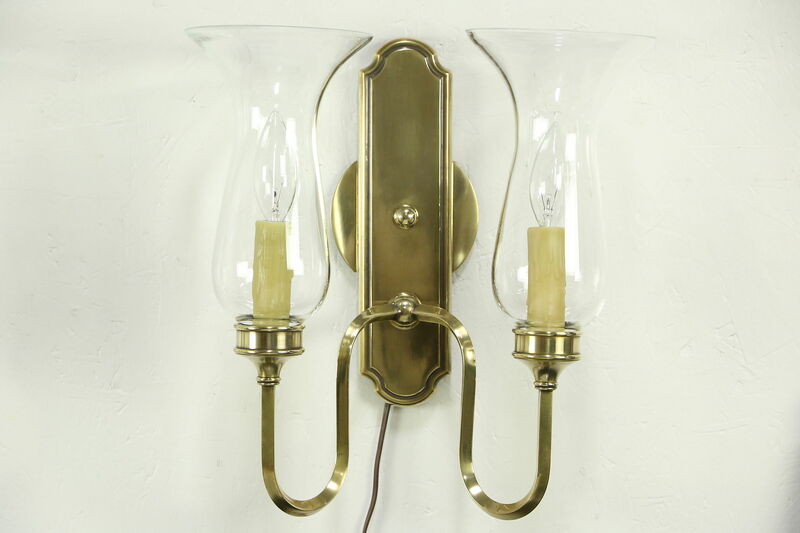 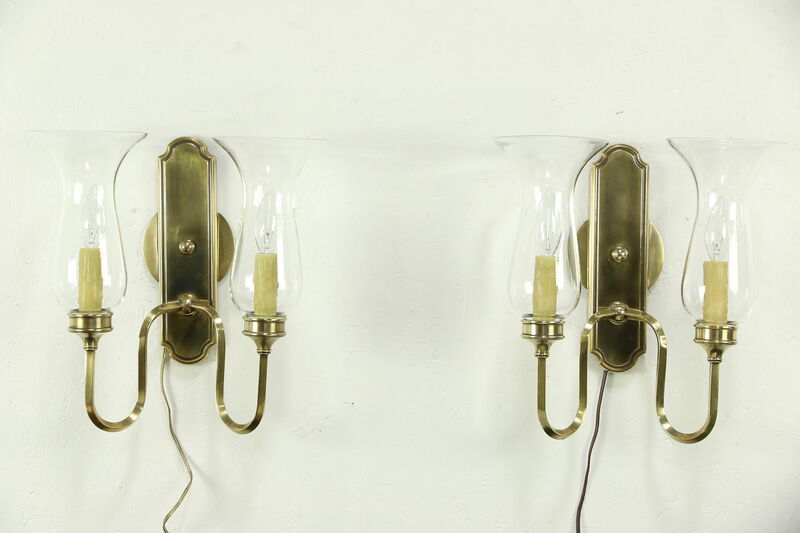 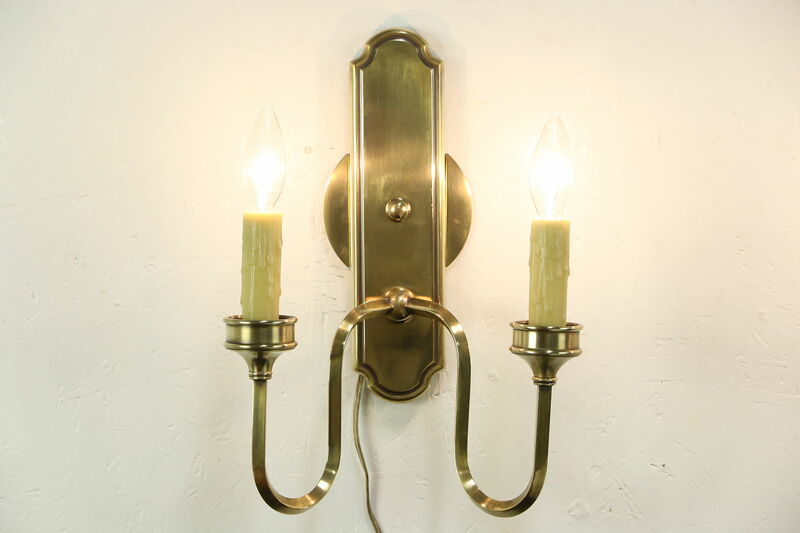 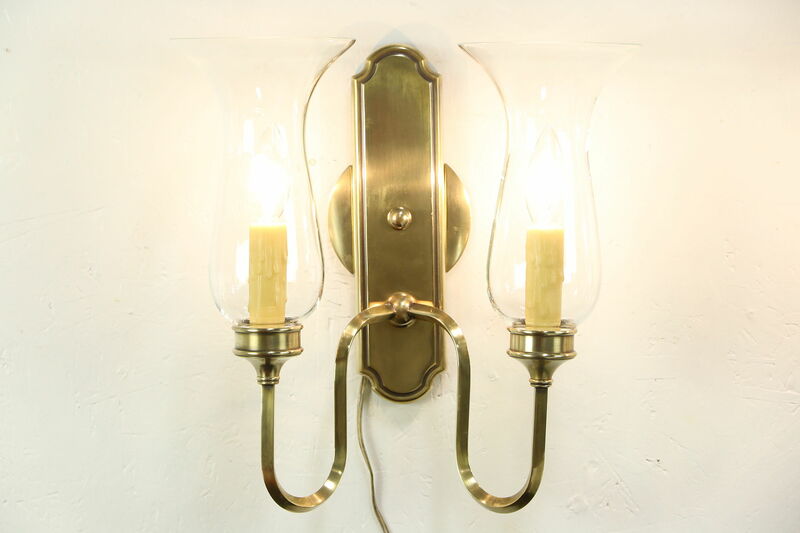 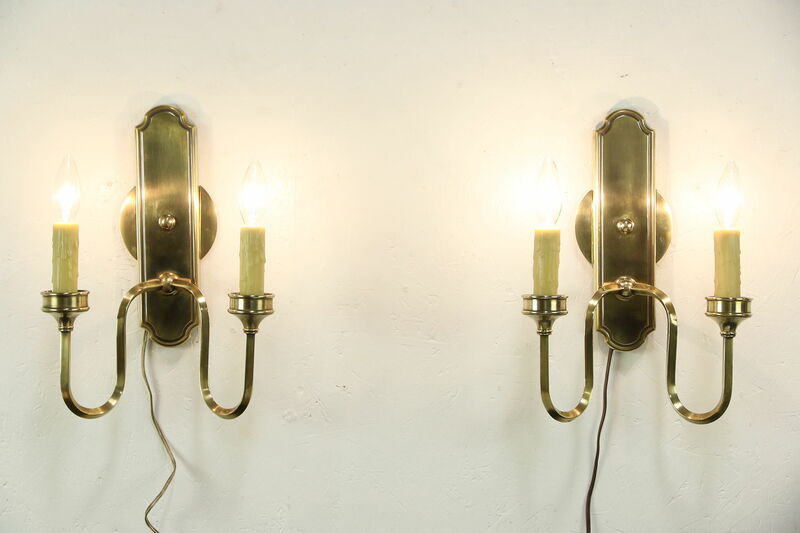 A pair of wall sconces with a satiny bronze finish and two beeswax "drip" candles have glass "hurricane" shades. 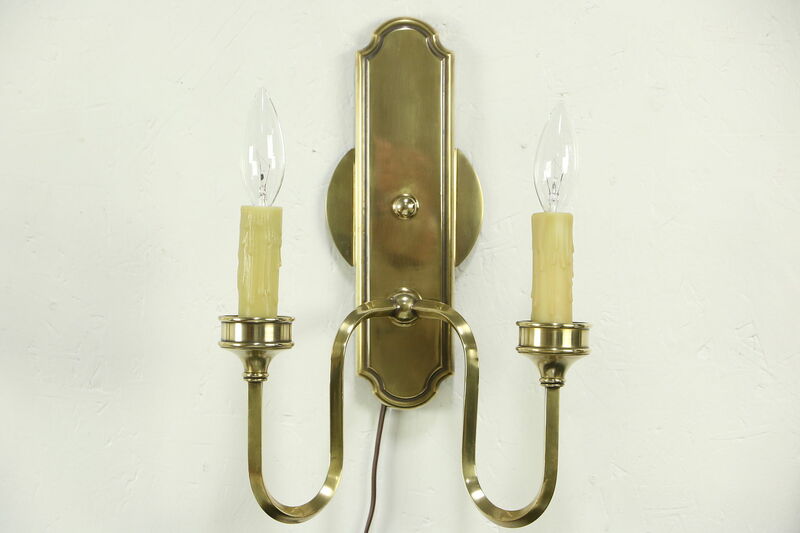 Dated 2006, they have straps to fit standard electric boxes and fit standard candelabra bulbs, not included. 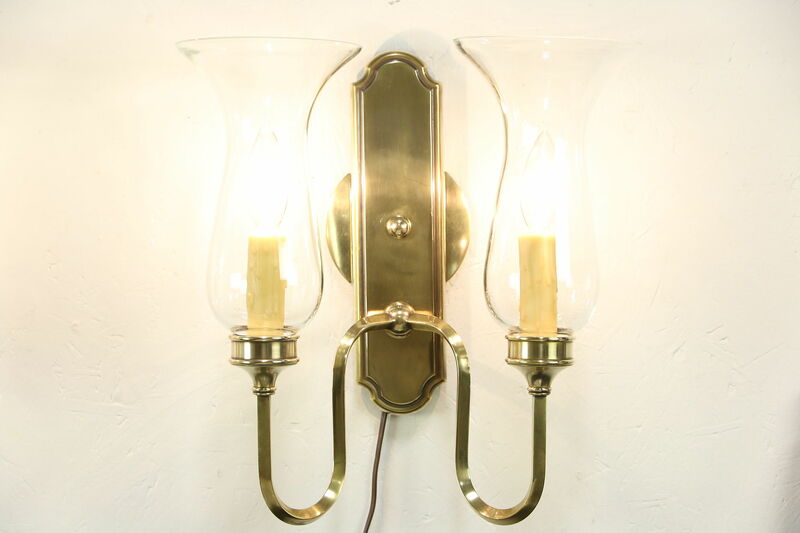 Overall size is 14" across, 14" tall and projection from the wall is 6."